There are A LOT of statistics and facts when it comes to drowning so we’re going to give you the basics. DROWNING IS A SILENT KILLER This is perhaps the most startling fact when it comes to drowning. Thanks to Hollywood, many of us have this idea that someone who is drowning is going to be thrashing about, yelling and screaming for help. Unfortunately in most instances this is not the case. In about the time it takes you to answer the phone, a child can drown, silently, in less than an inch of water. There is no yelling or splashing: They are typically quiet and can’t wave for help. Swimmer is bobbing vertically: While the swimmer is bobbing, you may notice their face and mouth reappearing on the surface. There IS furious ladder kicking: Ladder kicking is exactly what you think it would look like. The swimmer is trying to push themselves to the top of the water, as if trying to climb a ladder that isn’t there. Eyes tell you everything: The child’s eyes are glassy, unable to focus and possibly closed. They don’t seem in distress: This is perhaps the most important thing to remember. Their face is hard to see and their head is typically low in the water. Call out to the swimmer in distress and wait for a response:An individual who is in an active drowning situation will not be able to call out for help. Call 911 right away: In incidents of drowning, seconds matter. Someone who is drowning is only able to struggle for 20 to 60 seconds before submersion. Grab a pool hook or throw out a floatation device: This is an option for someone who is in distress. 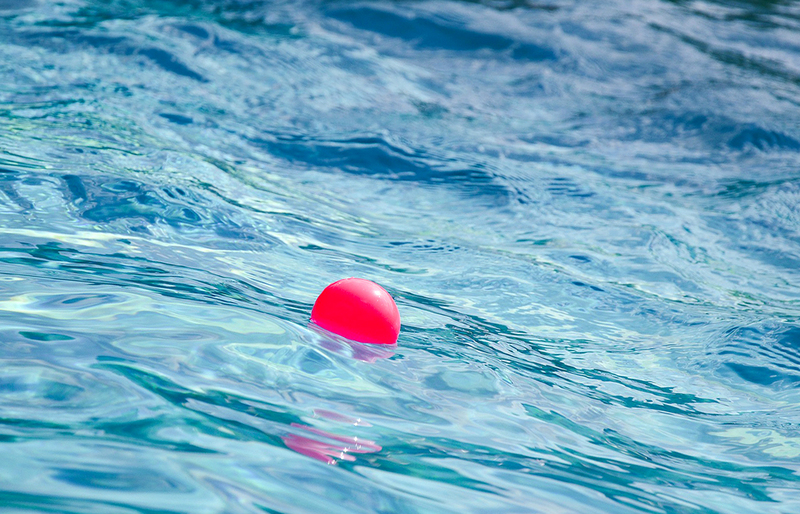 An active drowning victim will not be able to grab an object. Jump in! : If the person is unable to grab a rescue device and you can’t reach for them, you need to jump in to get them. It’s important to have a life jacket or some other flotation device with you in instances where the water is deep. You do not want to be pulled under or unable to get the victim to safety. Supervise when in and around water: Designate a responsible adult to supervise children while in the bath and when in and around water. For small children, you should provide “touch” supervision, meaning you should be able to reach them at all times. Make sure to avoid distractions such as phone calls, games, reading or mowing the lawn while children are playing around water. Use the buddy system: Always swim with a buddy, no matter how old you are. Learn to Swim: Taking part in formal swimming lessons reduces the risk of drowning in young children. We believe this to be one of the most important keys to staying safe in and around the water. Even for kids and adults who “know” how to swim, lessons can still be helpful. At Wisconsin Swim Academy we know that learning to swim can not only save lives, but can also build strength, teamwork, self-esteem and a sense of pride for children of all ages. Our instructors are trained to give your kids the best of the best when it comes to swimming lessons. We will help build your child’s love of swimming through compassion, integrity and trust. Give us a call at 920-427-8286 or contact us at swim@wiswimacademy.com to register for lessons today!